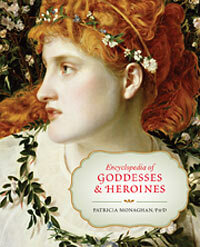 The Encyclopedia of Goddesses & Heroines by Patricia Monaghan is a beautiful addition to any home library. Monaghan sets out a geographical encyclopedia which allows for anyone to find their goddess or heroine based on where they hail from. I am fairly certain this is the book I used early on in my goddess studies to attempt to create a personal global pantheon. 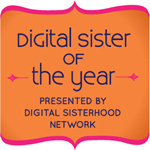 The entries are fairly short, except as you might expect for the Virgin Mary, thus make an excellent starting point for any budding goddess scholar. Since it is an encyclopedia I did not read this cover to cover. I did though enjoy the entries for the Virgin Mary, Mary of Magdelan, and the MesoAmerican pantheon. Monaghan states that goddess studies is less intense for this pantheon due to the human sacrifice aspect. I can see that. I know when I tried to dive myself into it during college, it was a contradiction that I had a hard time dealing with. Monaghan may have died in 2012, but left she us an amazing resource. Patricia Monaghan (1946–2012) was a pioneer in the contemporary women’s spirituality movement and published numerous books on the topic for more than 30 years, including Goddess Paths and The Red-Haired Girl from the Bog. Before retirement, she was an associate professor of interdisciplinary studies at DePaul University in Chicago, and also served as senior fellow at the Black Earth Institute in Wisconsin. She was a poet as well as a scholar, and was awarded the Pushcart Prize in literature and the Paul Gruchow Award for Nature Writing. Disclaimer: I received a copy of the book from the publisher.